This last week can be summed up by the Robin Williams line in the 1987 movie Good Morning Vietnam; "It's hot! Damn hot! Real hot!” Fire fighters in Australia have been battling extreme heat battling a number of uncontrolled bush fires. Earlier in the week there were a reported 61 active fires burning across Tasmania, over 520 fire-fighters were working on the fires, over 173,000 hectares had been burnt and properties lost to the fires including damage to one of the largest wood processing operations. There have even been reports this week that smoke from one 27,000ha fire had been seen across in New Zealand. With another five to six weeks to go in the bushfire season, it's going to be a busy time for many of our readers in the upcoming weeks. Working on addressing skills shortages within our industry is touched on in a couple of stories this week. In one, we look a little bit more at “Generation Z”, those born after 1995. There’s around one million of them already in New Zealand. Similar stats are found in other countries. This new young generation are being described as “digital natives”. 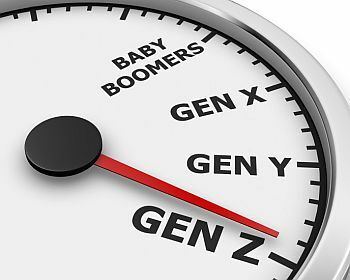 Their expectations and aspirations when it comes to employment are quite different to the Millennials (Generation Y or those born between 1977 and 1995). It’s understanding exactly what buttons need to be pushed to get this much younger generation to engage with our own industry that’s going to provide us with a future workforce. This is a major constraint currently to forestry and in particular, to wood harvesting operations. We'll cover the results of a recent survey of NZ forestry contractors on skills shortages next week. 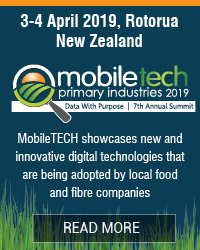 It’s also playing a major part in this year’s major harvesting event ( HarvestTECH 2019) planned for Rotorua in June. The transport industry is also grappling with the same issue. Where are their future workers going to come from? In this instance, drivers. At a recent Road Transport forum held in New Zealand transport managers were presented with a possible solution to the driver shortage problem – more female drivers. A number of courses are already underway with increasing numbers of women signing up. A recent US report says that to overcome the issue of driver shortages, more female drivers in America are being enticed into what traditionally has been a male dominated role. And finally, for our saw-doctor readers, as part of our ongoing service to improve communication amongst local sawmillers through the newsletter www.woodtech.news, we’ve included an article this week written by a former executive of the BC Saw Filers Association. In it he’s compiled a number of unconventional tips and tricks that he’s picked up over the years that might work for you if working in the saw-shop. That’s it for this week. Enjoy this week’s read. $400 a day in silviculture - yeah right! Earlier in the week, emergency warnings were issued for several communities in the Huon Valley, Tasmania with residents advised to consider leaving their properties for a safer place. The Tasmania Fire Service (TFS) said the fire danger rating reached severe and "exceeded forecast conditions". 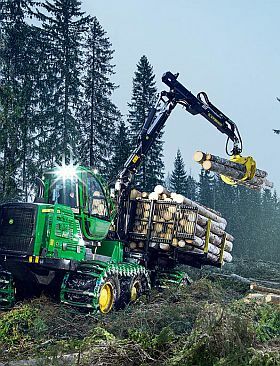 From May John Deere Construction & Forestry and Hitachi Construction Machinery (Australia) Pty Ltd. (HCA) have agreed to end a successful 29-year distribution arrangement of Deere branded and manufactured construction, forestry, and compact machinery in Australia. As the joint businesses expanded over the years, so have each company’s priorities in various markets around the globe. 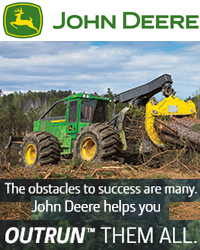 “John Deere Construction & Forestry Company (Deere) and Hitachi Construction Machinery Co., Ltd. (Hitachi) have a long and successful global partnership spanning multiple continents and product lines,” said Dan Fitzpatrick, global director of construction & forestry sales outside of the Americas. The changes announced in this press release have no impact on Deere and Hitachi’s partnerships or distribution arrangements outside of Australia. The last wood harvesting event ran two years ago in New Zealand. It was a sell-out. Same story two years before this in 2015. Over 450 met at both events in Rotorua, New Zealand. Both also saw the largest gathering of logging contractors, forestry managers, forest owners, suppliers and harvest planners ever seen in New Zealand. It wasn’t only the locals though. Equipment suppliers, researchers, forestry companies and international contractors from throughout Australia, Canada, the US, Finland, Austria, Germany, Indonesia, and South Africa also flew into Rotorua to attend the events. Two years on and logging contractors and key suppliers from around this region and from overseas will again be descending on Rotorua. Mark down the dates into your diaries. HarvestTECH 2019 will be running again over two days on 26-27 June 2019. Early indications are that it’s going to be another huge gathering. Some larger groups of international suppliers and contractors have already indicated they’ll be travelling to New Zealand to attend. Exhibition spaces - inside and out the venue – have already been largely filled by major logging equipment and technology providers, six months before the event runs. So, what’s on offer this year? 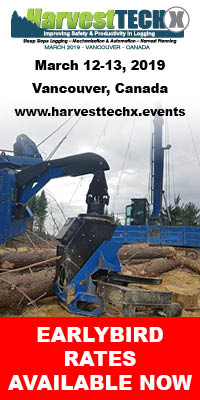 “Plenty of new technology, new innovations and some very clever operating practices aimed at improving productivity and safety for wood harvesting operations are going to be showcased. Another key theme this year is the real issue being faced by many at the moment, how to retain existing and attract new employees. As we all know, it’s a major issue. It’s already constraining the forestry industry – here and overseas. We all know that our population is aging – and it’s aging rapidly. Around 300,000 workers in New Zealand are aged 65 years and over and by 2041, up to 1.37 million people are expected to be aged 65 and over. We’re now dealing with Generation Z, those born after 1995. There’s around one million of them already in the country. Lynda Coppersmith, CEO, NZ Young Farmers at a recent training event described them as “digital natives”. What’s that? Their smartphone is an extension of their body, they’re socially aware, they’re independent and ambitious and they’re looking for “authentic and transparent experiences”. It sounds foreign to most of us, right? For the forestry industry and harvesting contractors though, it means that we need to really get a handle on the drivers and motivations of these new millennials (Generation Y) and Generation Z. This is going to help us to get a reasonable share of the available workforce out there. Experience we’re told is crucial for retention and educating and enlightening the sector employers is as important as attracting talent. Companies now are striving to understand how digital natives are using social media to interact with their products and services. From hiring Gen Z advisors to guide digital marketing efforts, to putting Millennials and Gen Z on their board of Directors, companies are racing to connect with young people. Understanding that Gen Z are motivated by social causes, companies are also making efforts to genuinely engage with this demographic on social media. An insight into some of the key drivers to attract and retain this new workforce will be profiled at HarvestTECH 2019. This is going to provide some useful tips on how businesses are going to keep their machines and harvesting operations working into the future. In addition to what buttons need to be pushed to resonate with youngsters, since the last HarvestTECH event ran back in 2017, some exciting new initiatives have and are being rolled out (inside and outside our own industry, both from within New Zealand and internationally) to attract young people and new skills into wood harvesting. What’s now on offer, what is working and what potentially can be used in your region or in your own business will be a key part of the June 2019 event. The New Zealand wood harvesting programme is extensive. Further details will be provided in the lead up to the event. Full details on the two-day event, HarvestTECH 2019 can now be found on the event website, www.harvesttech.events. There have been fresh claims that there’s a shortage of people to plant the New Zealand’s Coalition Government’s one billion trees by 2028. This is in part because wages and are too low and there’s a lack of job security, this is why employers cannot attract more workers. There has been a claim from Forest Management Director that planting rates had reached $400 dollars a day in Northland. This has raised eyebrows amongst workers. A silviculture anonymous contractor who’s been in the industry for 25 years says, "Regarding employees being able to make $400 per day at 60 cents per tree; these are utterly false facts, most silviculture contractors would struggle to receive that from forest owners. Fact of the matter is that to ensure contractors can pay their workers’ wages that reflect the type of job they are doing, the contractors themselves must be paid decent rates. It is the forest owners and managers that need to take a good hard look at themselves and admit they are a bigger part of the problem. FIRST Union General Secretary Dennis Maga says claims are highly misleading. "This is the contractor rate, not the rate the person receives in the hand. Management costs, overheads, quality control, logistics and transport, amongst other costs, would come out of that rate. So, the truth is in stark contrast to this. We also know from MBIE’s report that 87% of companies in forestry, specifically silviculture, are not meeting basic employment standards and we know this includes employers not even paying the minimum wage let alone a few hundred dollars a day. It’s far from the truth." Mr Maga says the real reason there’s a shortage of workers is down to poor company planning, unrealistic pay and work hours and some companies breaking the rules altogether. "It’s insecure work and minimal pay. There aren’t enough workers to plant the billion trees, because the jobs aren’t decent jobs. Pay the right rates and you’ll attract more workers." Further coverage on this story this week with comments from a silvicultural contractor on issues around current industry pay rates can be seen here. TR Group Limited is delighted to share that New Zealand’s Minister of Energy has announced that TR Group will receive funding from the Energy Efficiency and Conservation Authority (EECA) to contribute towards the purchase of our first electric trucks to be deployed as part of TR Group’s nationwide, 1300 strong, heavy commercial vehicle rental fleet. EECA administers the Government’s Low Emission Vehicles Contestable Fund. The fund is one of a range of initiatives in the Government’s electric vehicles programme, aimed at increasing the uptake of electric vehicles in New Zealand. The fund offers up to 50% funding towards specific projects. EECA will co-fund TR Group to buy 3 electric 4x2 curtainside trucks with tail lifts and an 11 tonne GVM. These are aimed at the local pick-up and delivery market. In conjunction with EECA’s support, TR Group aims to increase the uptake of electric trucks in New Zealand by providing transport operators easy and risk-free access to trial and learn about this technology. In turn, TR Group can focus on providing competitive, economical access to electric vehicles while we work to understand the long-term economic viability for heavy commercial electric trucks in New Zealand. The support of EECA will also assist us while we work on developing preventative maintenance programmes and servicing schedules for these vehicles. For the saw-doctors or filers out there, what’s the right way to do any given task in a filing room? 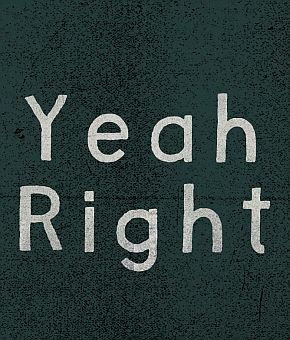 You might want to say, “Whatever you were taught in school,” or maybe, “Whatever works best,” but you would be wrong both times. The proper answer is, however the head filer tells you he wants it done. That being said, just because something has been done a certain way for 50 years doesn’t mean it’s been done the best way. 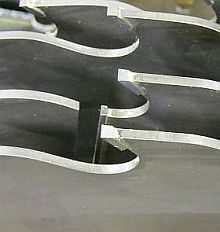 The field of saw filing is still wide open for experimentation and improvement. Nothing is sacrosanct. Trevor Shpeley, a former executive of the BC Saw Filers Association and currently working as a filer at Kalesnikoff Lumber in British Columbia provides in a recent article some tips that are slightly off the beaten track. They may however work for you. The NZ Commerce Commission has received a clearance application from Ixom Operations Pty Limited to acquire chemical manufacturing assets in Kawerau from Oji Fibre Solutions (NZ) Limited. Ixom is headquartered in Australia but has chemical manufacturing, supply and distribution operations in several countries around the world. In New Zealand, Ixom supplies chemicals including sodium hypochlorite, hydrochloric acid and caustic soda. Ixom operates a sodium hypochlorite plant in Christchurch. Oji is wholly owned by the Oji Group, which is a global pulp and paper company. In New Zealand, Oji operates two pulp and paper plants in Kinleith (the Kinleith mill) and Kawerau (the Tasman mill), and a mill for recycled product in Auckland. Oji has two chemical manufacturing plants which it uses to supply chemicals to the Kinleith and Tasman mills. It also sells sodium hypochlorite, hydrochloric acid and chlorine produced at its chemical plants to customers in New Zealand. During FPT Industrial’s Tech day, FPT Industrial and Forvola broke the Guinness World Record for the heaviest payload lifted by a drone. With 16 propellers giving it enough oomph to lift hefty objects, Forvola’s megadrone lifted a 5 ft. box of FPT Industrial spare parts that weighed in at about 220 lbs. The drone held this weight for more than one minute and three seconds, officially setting a world record on December 6th, 2018. Previously, the record belonged to the University of Oslo, Norway, whose drone lifted about 135 lbs. for 37 seconds in 2015. Forvola’s drone is the first customizable megadrone in terms of size, configuration, and accessories. Additionally, it has a power of 10 to 20 kW, can carry weights up to 440 lbs., and can fly for 30 minutes or more depending on how heavy the load. Forvola drones are designed for applications in an array of situations, such as rescue missions, cargo handling for the maritime sector, firefighter support, ensuring safety near shorelines, and construction site assistance. Tasman Pine Forests Ltd (TPFL) is a subsidiary of Sumitomo Forestry NZ, purchased at the end of 2016 to secure resource for the Nelson Pine Industries’ MDF and LVL plants near Richmond, and to supply its customer base offshore. TPFL owns 36,200ha of sustainably managed Nelson Marlborough Radiata pine forests. Tasman Pine Forests Ltd has appointed Steve Chandler to the position of Chief Operating Officer. Steve Chandler started his forestry career with the NZ Forest Service at Golden Downs near Nelson and held various forest managerial positions with Carter Holt Harvey in the 1990s. Subsequently he has been working for Rayonier in the role of Southland-Otago Regional Manager, and more recently as their National Environmental Manager. 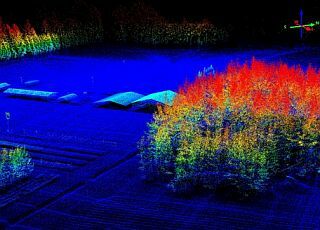 Scion, New Zealand's CRI for forestry and wood products,has a new top-of-the line lidar scanner – the Riegl MiniVUX-1 UAV Snoopy V-series manufactured by LidarUSA. The new piece of equipment has higher resolution and accuracy than Scion’s current scanner, and has an increased range. Being able to capture data at greater than 60 m above ground (and up to 120 m) means line of sight UAV flying is much easier, and the UAV is safely clear of tree tops. A two-day session with a trainer from LidarUSA was also attended by representatives from the University of Canterbury, Interpine Innovation, and Pilbrow Surveying Ltd. Robin Hartley, Scion’s UAV Operations Manager reported that it was very impressive to see a system that could capture good lidar data 120 metres above ground. “Our first impressions are that the new system is far superior to our current Lidar system, and it is significantly easier to integrate and operate, and to generate usable data,” says Robin. The new scanner will be a powerful addition to Scion’s Forest Informatics team’s tool kit for its work on monitoring tree growth, health and inventory, and in the phenotyping research programme. Contact Robin if you have any questions: robin.hartley@scionresearch.com. The Australian Forest Products Association (AFPA) is calling on the Federal Government to remove barriers to forest industries fully participating in the Emissions Reduction Fund (ERF) and earmark AU$80 million specifically for new projects with multiple benefits, such as forest plantation and farm forestry projects. In its submission to the Federal Treasury ahead of the 2019-20 Budget, AFPA has requested AU$80 million from the ERF be set aside for carbon storage projects that deliver multiple benefits beyond carbon abatement such as employment, agricultural productivity and biodiversity gains. Prioritising projects that deliver multiple benefits was a key recommendation in the Climate Change Authority’s (CCA) April 2018 report to the Government; Reaping the Rewards: Improving Farm Profitability, Reducing Emissions and Conserving Natural Capital. Expanding Australia’s plantation estate and incentivising farm forestry are prime examples of carbon storage projects that deliver multiple benefits. As well as creating regional jobs, strategic planting of new trees can reduce salinity, improve water quality and enhance habitat restoration/revegetation (e.g. mine sites). “It is estimated that, should constraints be removed to allow new trees to be planted in the right places, about AU$80 million in ERF funds could generate the planting of some 40,000 hectares of production trees per year over three years – including a significant uptake of farm forestry that is proven to deliver on-farm productivity gains,” AFPA CEO, Mr Ross Hampton said. Independent analysis commissioned by AFPA last year found that the 400,000 hectares and other measures would cumulatively remove or store up to 115 mega tonnes of CO2-e by 2030 (the Paris Agreement target year). This in turn will support the Federal Government’s own commitment to plant one billion new production trees over the next decade, as announced in the National Forest Industries Plan in September 2018. AFPA is also calling for other measures announced in the Plan to be funded. “The Plan also committed to the creation of two new National Institute for Forest Products Innovation centres, in addition to the two successful existing centres in Mount Gambier in South Australia and Launceston in Tasmania. 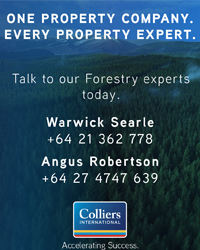 AFPA’s Budget submission seeks an additional AU$40 million to provide long-term certainty and scale for the four centres, and for the removal of the matching cap on voluntary industry funding contributions for Forest and Wood Products Australia (FWPA),” Mr Hampton said. Family politics, a 120-year-old love story and modern-day research to see if native wood can be harvested sustainably for commercial use have converged in an historic church in Northland’s Matauri Bay, New Zealand. 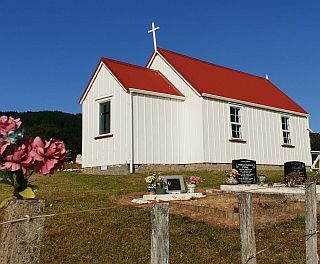 The iconic Samuel Marsden Māori Anglican Church building is dedicated to the memory of Reverend Samuel Marsden, whose early missionary success can in part be attributed to chief Ruatara who provided the preacher a safe place to rest at Matauri. Marsden then sailed on to hold the first official New Zealand church service at Rangihoua in the Bay of Islands on Christmas Day, 1814. The final step in the recent renovation of the 123-year-old building was a thanksgiving service held last Sunday for a wooden floor made from tōtara harvested on the Kaeo farm of John McGee. In 2015 Melanie Chandler-Winters, a member of the Whangaroa Pastorate, spoke with John about the church floor. Her concern was that particle-board had been laid in place of the native timber floor which the church could not salvage during restorations. John revealed that he was harvesting tōtara on his farm as part of a study. This was the Tōtara Industry Pilot (TIP), a two-year assessment of whether a business case exists for a new Northland industry based on the sustainable management of farmed tōtara. A small group of mostly Northland-based interests was driving the study. Current TIP partners include the Northland Tōtara Working Group, Tane’s Tree Trust, Te Taitokerau Māori Forestry Collective, Northland Inc, Scion (New Zealand Forest Research Institute Limited) and Te Uru Rākau. A decision was made to use some of the tōtara wood from John’s farm for the floor of the church. Over a number of months’ the church and the TIP steering group worked together to mill and finish the timber and install the floor. It is fitting, given the tōtara was harvested only 20 minutes from the church, that the new floor is TIP’s first demonstration of sustainably harvested native timber from Northland. The McGee family’s bitter-sweet connection with the church stretches back to the early 1890s and involves young love, the racial divide of the day, family politics and an unexpected reunion with TIP unwittingly at the centre. Mr McGee’s grandfather, also called John, was a whaler and gum-digger who lived among the māori of Matauri Bay, learned te reo and married Harata Tame in 1895. Harata died three years later at the age of 24 and is now buried in the churchyard next to her mother. Grandfather McGee then married again. His first union was never openly discussed in his new family and his living descendants had little information about his connection to Harata. But this story will not there, thanks to an entirely unexpected twist. Unknown to Mr McGee, Harata’s namesake from another branch of the Tame family, Harata Toms, is a current member of the Church’s congregation. Whether by chance or divine intervention, the families met only when organisers came together to plan the thanksgiving service - to the great delight of all involved. “The TIP project is also looking at the cultural and regional values associated with sustainably-managed and farmed Tōtara,” said Pita Tipene, Chairman of Te Tai Tokerau Māori Forestry Collective. “There is old and new knowledge, that is distinctly Northland, locked up in our local and regional communities – skills, ideas about forestry and uses for timber and wood. We’re thinking about the development of our mokopuna and what our land can sustain when we consider a future tōtara industry. So far, we’re encouraged by the results”. Northland was selected for the TIP project as it has an unusually large resource of naturally regenerated tōtara on farmland, the right weather and geographic attributes to support tōtara growth, the necessary infrastructure in terms of drying kilns and mills, and proximity to the high-value timber markets of Auckland. In a world having too much carbon in the atmosphere and obsessed about expensive and dangerous technologies for its removal, it is comforting to know that a form of charcoal has now been accepted by the IPCC as a useful tool in the fight against climate change. Biochar is charcoal which can be used to lift productivity in agriculture and as a long-lived carbon store in soils. It can be used to enhance water quality and as a bioremediation tool for contaminated soils. The production of biochar can also deliver secondary bioenergy benefits and deal with many types of ‘liability’ biomass. Biochar has attracted worldwide attention as a Negative Emissions Technology (NET) in the latest IPCC report, presented at COP24. Biochar has been identified as having positive impacts on 12 of the 17 UN Sustainable Development Goals. A growing number of New Zealand farmers are becoming interested in making and using Biochar, leading to a new organisation being formed, Biochar Network New Zealand (BNNZ). It will have its Inaugural General Meeting in Pukekohe on 14 February. BNNZ is planning to promote and support activities that provide widespread awareness, understanding and acceptance of Biochar in New Zealand, leading to a diverse range of production and application scenarios for the benefit of New Zealand’s agriculture, industry and environment. The BNNZ IGM will take place at 10am on 14 February 2019 at the Reid Anderson Lounge, 18 Wesley Road, Pukekohe. If you wish to attend, or participate via remote access, please email your request to: BNNZ@soilcarbon.org.nz . For more information about biochar please: click here. New Zealand’s trucking industry managers attending the Women in Road Transport forum held in Auckland late last year were presented with a possible solution to the driver shortage problem – more female drivers. Four female students who are part of the first intake for the Manukau Institute of Technology’s new programme - the NZ Certificate in Commercial Road (Heavy Vehicle Operator) level 3 - spoke briefly about the experience and their career hopes for the future. They have undertaken the training through Skills Update Training and Education group, and are due to complete the course next month. All students in this first intake are female, which has highlighted a possible niche student group for future intakes. The next intake is scheduled to start in late Feb 2019. A similar course at Southern Institute of Technology, Invercargill also has a high proportion of female students. Steve Divers, the Sector Workforce Employment Programme co-ordinator tasked with finding more drivers says it’s an untapped potential employee pool that many in the industry have not considered. 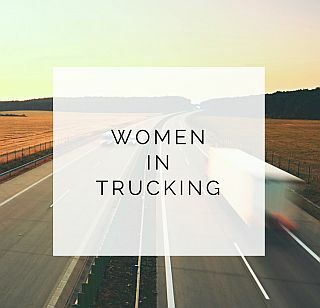 A report from Meryn Morrison, the chairperson of Women in Road Transport, on a Women in Trucking conference held in Dallas, also pointed the way to the future. America has the same problem as New Zealand with driver shortages, with the industry utilising more female drivers, who have a lower accident rate than men. Women are also half as likely to become part of the annual turnover statistics – leaving one job and going to another within the industry. New Zealand figures are similar says Meryn Morrison, including women driving more kilometres and having less down time during a shift. Mr Divers reported there are now seven CRT courses available around the country, an increase of two – Manukau and Timaru - over 2017, with more planned for Christchurch, Hawkes Bay and Hamilton. The seven courses established are at Whangarei, Manukau, Tauranga, Gisborne, Porirua, Timaru and Invercargill. The New Zealand Qualifications Authority is in the final phase of signing off course content to be offered through MITO to senior high school students, with support from the industry in a school’s area. A Gateway course will be available for Year 12 students and a 3 plus 2 course at Year 13 level, with students spending three days at school and two with a transport company. It is expected the courses will start in February 2019 with course work eligible for NCEA credits. National Road Carriers is a progressive nationwide organisation representing companies involved in the road transport industry. It has 1800 members, who collectively operate 16,000 trucks throughout New Zealand.